One vendor has this plant for sale.55 members have or want this plant for trade. I have one in my front yard which has north and east exposure. It is doing very well in Trail BC Canada. The only maintenance I give it is to watch for suckers and trim them out. I hit it once in the spring with a good granulated shrub fertilizer and that's it. The leafless twisted branches are dramatic in the winter, and even more beautiful in early spring when the long catkins hang from the twig tips, before the leaves emerge. The leaves are twisted as well, but not in an ornamental way. When it's in leaf, this shrub recedes into the background. There are new red-leafed contorted cultivars ('Red Majestic', 'Red Dragon') which I think are much more ornamental. 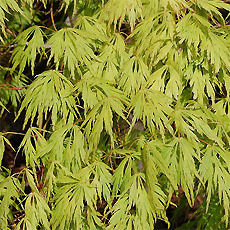 The color eventually fades to green in summer, but it offers several months of beauty. Almost all plants in commerce are grafted on seed-grown plants. 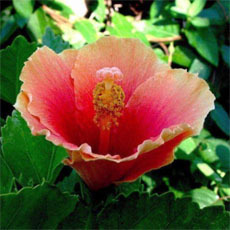 The resulting suckers are not contorted, and will out-compete the graft unless religiously pruned out. I find this a maintenance nightmare. A second problem: in eastern N. America, ... read moreEastern Filbert Blight is a common and serious problem for this species and this cultivar. 'Red Dragon' is resistant. I planted my contorted filbert in a partially shady area in my front yard (Petersburg, Virginia, Zone 7A) at least five years ago. 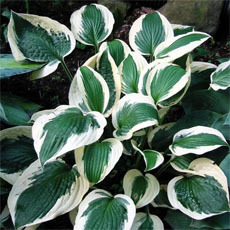 It is growing, although not rapidly, and is crowded by hostas and Solomon's seal and ferns. I am considering limbing it up and using the lower branches for flower arrangements. There has been no sign of any blight here, yet. I have seen other contorted filberts growing in town, so it seems to be successful. I had three days to move a large gift HLWS (5' tall and 5' wide). It has a lot of Japanese beetle damage and it suffered significant drying out because it was not protected from the wind when I used a pickup truck to move it )-: 1/3 of the leaves still look very healthy. I want to hear that I do not have to worry and that there is nothing I can do to help except plant it and leave it alone. I had a small one 15 years ago and it died two years later. The same thing happened with a replacement. They may not have had enough sunlight but they were in a great spot for a winter display. This one off to a bad start and I have a bad reputation already. I am nervous about this. To my defense, I have over 150 cultivated plants on my 1/2 acre property. ... read more 8/25/14, The plant is potted in a large container and in the shade. (ICU) When should I plant it into its final resting place? A week, a month? right now? One location will give it full SE sun, protected from the wind on three sides by my house and porches but may well get clobbered by snow from the driveway. It is a good location where I can appreciate its contortions. Another location is on the other side of the driveway. Less chance of snow damage. No wind protection, shaded AM sun from a birch tree and full PM sun. It will give a good show both my neighbor and me. What preventative medicine might I use against the inevitable Eastern Hazelnut Blight? I hear about a systemic insecticide that will stop the Japanese Beetles, what is it called? Does it work? How soon do I start treatment? I have a 10 year old corkscrew hazel on a standard which is now 8-10 feet tall and 6 feet in diameter. We are redoing our deck, so I'd like to know if anyone has moved this tree successfully, and if so, how you went about it? I've tried to grow this plant for the six years and am finally giving up. At first it was in a pot, then I found a place for it on the East side of my house. The leaves started to burn at the edges and after doing some research, I decided that it was damage from salt spray - I live two blocks from the ocean. I moved it to a spot in the ground on the West side early last year and it hasn't gotten any better; also, it never produced any catkins or grew. I really think it just can't stand our hot, humid summers with the salt in the air. I love this plant and if I lived farther inland would definitely grow it, but I don't, so my husband is taking it up to Surry Co. in North Carolina where his son lives. It should be MUCH happier there! Gorgeous structure, but NEVER gets any catkins. It is pretty old and 8 by 8 feet tall and wide. I have not fertilized it as it appears to be healthy. It is devoured by Japanese beetles every year, perhaps they are killing the flower buds? This seems impossible! I LOVE this tree, but would love it even more with the beautiful catkins dangling down gracefully! I bought mine mail-order from Spring Hill in 2000 and it's as happy as a clam at high tide. It's on the north side of my house in a heavy-clay, nitrogen poor soil. It gets sun in the mornings and evenings in the summer. It is perfectly delightful in the winter and spring; the wilted-looking leaves are not very attractive during the summer, but the winter interest is worth it. Now it's about 7 feet tall, and it would be around 4 feet wide if I didn't have to trim it hard to keep it off the sidewalk leading to the front door. I bought this plant from a nursery in Gig Harbor, Wa. and it ended up being infected with Eastern Filbert Blight, which showed up a few months later.. It is a beautiful plant, but I will not buy again due to the EFB problems these trees have in the area. It was hard when I had to remove it from my garden..
Several Harry Lauders in my neighborhood, including mine, have succumbed to the blight. The one that has not is the only one to be getting full sun. Does anyone know whether full sun offers any protection? I'm hoping that the allegedly blight-resistant C. avellana 'Red Dragon' that I've ordered will do better. The cadavers of the decedents are making great decor in several homes. I to love this plant, but lost my gorgeous Harry Lauder's Walking Stick to Eastern Filbert Blight two years. I have spoken to a few other local gardener (eastern Massachusetts) who also have lost their much beloved plants in recent years. I even came across a local nursery that was selling infected plants. It was hard to miss the tell tale black stomatas running up and down it's branches. They had no clue what it meant. Yikes! However, even with that said, I haven't given up on them as I bought a 'Red Majestic' standard last year. Love the trained, curly weeping branches, and leaf color change which is reminiscent of my purple leaf weeping beech (Fagus sylvatica 'Purpurea Pendula'). Unfortunately, if I lose this filbert that will be all for me! Just to expensive to replace, ... read moreand disheartening to try to treat a seemingly terminal plant disease. 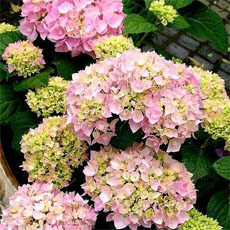 I've ordered one of these shrubs and I'm excited about growing it. I've seen it grown by friends here in Enid, Oklahoma. We get very harsh weather conditions: continuous 113+ degree temperatures, 40-60 mph winds, last winter we got down to minus 112 degrees even though we are zone 7a, not to mention tornadoes. These guys have survived through all this, but not in full sun. The ones we have around here are in part sun and part shade. Don't know about nuts or flowering yet. Will report later. Neem, Neem, Neem! For those of you that know what this fungicide/insecticide is, use it once or twice a week. Harry absolutely thrives with the oil from this stuff! I too have this plant. It has been a staple specimen in my garden since 2006. The corkscrew hazel has flourished until now and is 6' by 5' with main branches at least 6" in girth. Some of the leaves on the branches did not open this spring on one side. I just looked closely at the plant and saw what looked like a fungal disease. After looking on the internet I have recognized it as the Eastern Filbert Blight for which there is not much that can be done. I too am devastated since this plant looks fabulous in the snow over the winter with its contorted branches and fabulous shape. There will be a discernible hole in my winter landscape until I research something else more suitable for my environment with that kind of shape interest for our winters. I have read that this disease if prevalent in eastern Canada and the US and is not possible for the home gardener to control once contracted on a plant. I got my Contorted Filbert at Lowe's in 2008. Late last spring (2010) I noticed that the new leaves that had come on were dying. I did some research and learned about the Eastern Filbert Blight. Apparently it doesn't show up for several years so I think it was infected when I got it. My heart is broken because I loved this little tree. I've trimmed as much as I can to where it's practically nothing but I understand the prognosis isn't good. Is there a species that is more resistant? I took a branch to the Purdue Extension here in town and they had never seen the blight before but planned to display my infected branch at their next meeting. I live in northern Indiana. Got my little Harry at Lowes distress sale for 10 bucks last summer. What's funny is, it was really not all that distressed, they just look that way with their droppy,wrinkly leaves! Other than fighting small swarms of Japanese beetles, had no problems getting it to thrive. It's now about 4 ft tall, just budding out. It's unique appearance pleases me no end, but someone (summer or winter) is always asking me if it is dead or dying. Lol! I love my contorta & have been enjoying it's growth for over 15 years. I am moving & I transplanted it in my new garden. IT is suffering a bit but I still see green starts appearing under the leaves....think it will live? I got my tree at Wal-Mart in 2004. I loved the shape of it. We moved and I took it with me. I have it planted next to the driveway and it is doing great in it's new home, sandy soil. I found a burgandy leaved one last summer at Meijers for 30.00 and I love it. I just cut the suckers off and they keep their shape and flower in the late summer. They are a very neat plant and would recommend them. We have had two Harry Lauders for about three years in northern Arizona. They just sit there. They seem healthy, produce a few leaves, never a catkin. When reading other comments about excellent growth it bewilders me. Any suggestions? I water, fertilize, mulch. The guys get filtered sun. 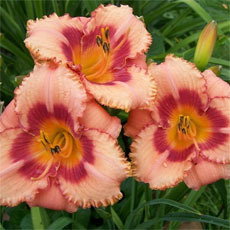 Wonderful plant for a special showplace in your garden or also does very well in a large container here. Re the comment about not bearing fruit, image 42 in the plant's photos belies this, though it's certainly not a common occurence in my experience. I just hope the blight doesn't reach us. West coast gardeners had better be certain of the origin of any plants they buy. We have had our contorted filbert for almost three years now. (Allegan, Michigan ~zone 5b or 6a) I have also loved them from the first time a saw one. I purchased mine from Home Depot for either $50 or $60; it was a nice size with beautiful branching. When we first planted it two summers ago, its leaves were quickly devasted by insects. The branches were almost bare. Could have been Japanese Beetles, but I don't see those often in my garden. We sprayed, but that didn't last long. In desperation at the beginning of last summer we put a systemic insecticide in the soil. That saved our plant. It did fine all last summer. I can't wait to see it this spring! A choice tree for landscape, container or bonsai, provided it is on its own roots and not grafted. On grafted trees the suckers take over quickly and completely ruin the structure. The quarantine in OR was lifted after many years of study showed Eastern filbert blight can be controlled easily with less effort than many other plants require to control deadly diseases. Eastern Filbert Blight is a SLOW killer and it takes many years for it to kill a tree. Prevention is the key to control. Keep in mind for container plants these are HARDY trees and need to be outside in order to get sufficient winter chilling to grow properly the next year. I found a specimen at a local Lowes Garden center for ten bucks! It has adapted well but my puppy recently took a liking to it and decided it would be fun to tug at its branches. The tree's leader branch snapped. I found it later that day barely holding on for dear life. I wired it back together hoping it would heal its wound. Wish me luck! Any suggestions, advice, comments about helping a broken tree heal? The first time I remember seeing Harry Lauder's Walking Stick was on the UK campus in Lexington in 1970. The plant always intrigued me. Avery beautiful plant if you don't have eastern filbert blight. Of course my interest in filberts and hazelnuts and knowledge that eastern filbert blight will kill filberts and Turkish tree hazels didn't deter me from planting a quarter acre of clonal material and many seedlings. They all died after they started fruiting. Very cool plant. I have it in a planter on my back deck, hoping that its slow growth habit will allow it to remain there for several years. I did notice much fewer catkins this year, not sure why. I moved away from my "tortured hazlenut" five years ago. I still miss it. It was at least 8x6 and very full. I had a professional nurseryman trim it once and it looked marvelous. Crafters used to pull into my drive and ask me save the prunings for craft projects. The birds loved it too and it provided a place of rest and some shelter. Beautiful all year 'round. Spectacular with snow. I had some ships lanterns that I used to hang to light the walkway to the front door. I live in a desert area now with temperature ranges of -20 to 110. Do you think one could survive here? I enjoyed reading others articles. It's nice to know that others have personal relationships with certain trees. i would like to know the correct way to start a tree from the acorn. I have had no problems with these at all. They are beautiful and easily propagated via air layering. I have always loved this tree and have (had) an older specimen here in the North Carolina Mountains. The Eastern Filbert blight took it down last year for good. It broke my heart to have to have the tree removed. I've had it for around 15-18 years. I have also seen the blight on other trees in the area. Simply can't grow it here anymore. We love Filbert, but the beetles do, too. He looks a little sickly and we don't know if it's entirely the work of the beetles, or if that Eastern Blight problem has struck our yard. We're thinking about transferring from his pot to the ground. Will this kill him? Or should we bring him inside for the winter? I see a lot of comments about how lovely filberts are in the winter. We were wandering around our favorite nursery early this spring when we came across this most interesting plant. We bought our 'own-root' Corylus avellana (H.L.W.S. ), and we have it in a large pot in full sun on our deck in northwestern New Jersey (USA). It's almost 3' tall. When we bought it in April, 2008, it had a few catkins. Then, in May, it began to bud, but then stopped. It began to leaf early in July, but very sparsely. We have no idea if this is normal! Eastern Filbert Blight has made it impossible to grow this plant in North Central, Pennsylvania. The host of the blight is the Native Filberts common to our area. The Native Filberts are not affected by the blight. I had the first known loss in North Central, Pennsylvania and have since seen three or four other cases of Eastern Filbert Blight all of which killed the effected plants. The only option here is to grow the Native Filberts which the squirrels like just as well. One common name for contorta is: Harry Lauder's Walking Stick. We bought a home that has a Corkscrew Hazel in the front yard right in front of our main window. We absolutely love this tree. We had nicknamed it the "Grandfather Tree" because of the crinkled leaves. Our's was planted around 1976 when the home was built , and it is now approx. 9 ft. tall and about 6 ft wide. We love the caskins and have not noticed any blooms yet, but did not know to watch for them they are so tiny. We have only lived here for three years. We have had a hard time on figuring out how to prune it, which is what led us to this site. I do know that there is another smaller one just down the road from us about half the size of ours. I also did see a contorted filburt for sale at our lowes last year that was only about 2 ft tall, so I am assumming that they are availab... read morele for sale in Oregon again. This is our most beloved tree on our property with many different trees. I have never noticed any disease on our tree at all, and I am very thankful for that. I do know that our urymastyx mali (a lizard) loves to munch on the leaves. I absolutely love it ! I prefer native plants and love character in the front garden. My local nursery recommended this in 1997 as a tree to add interest. It is a garden focal point, straight out my door, so I enjoy it's character year round (better in Winter and Spring). It has been easy to maintain, just cutting back suckers to keep the twisted shape. Some people don't understand it, they think it's odd, but if you love gardens - you will ! We purchased this beautiful shrub in 2005 when it was about 4 feet high and wide. It is over 6 feet high and more than 6 feet wide 2 years later and is absolutely stunning. It's the focal point in our garden. We have not had any dieback or insect problems with it and we live in Burlington Ontario, Canada. We just bought our Harry last summer and we are loving it every season. It especially looks neat in the winter, covered in snow. My only problem are rabbits chewing the lower branches off. I put chicken wire around it for a few years till I had branches to spare. It's unique and worry free in Iowa. I've had mine since ''98''. I noiced the catkins around the first of March. It grows really slow. I have two of these, one on the west side, where it gets hot afternoon sun, and one on the east side, with morning sun. We've had them for many years and they've both done very well. The one on the east side has an abundance of suckers that I have to keep control of, but other than that, no problems at all. Sometimes people think it's wilting, but it's just the nature of it to look like that. No nuts ever, just the catkins. Harry is about 4 years old now and is over five feet in height. Very healthy and full. Gets catkins, but no nuts. Has lots of leaves, but so far has not ever bloomed. Harry now resides in a large tub in the yard because I am transplanting him to a better location in the yard to see if I can get blooms. I'm pleased with this plant because of its interesting shape and the fact that it has never had any diseases or bugs. I planted mine in April 2005 and it settled in fine even though we had some periods of very dry weather. I just discovered that Japanese Beetles are quite fond of the leaves! I started this tree about 15 years ago and it has done very good . Its in the north side of my home where the soil is moist. Its size now is about 10 feet tall. When this tree started it was just a twig about 2ft tall. I trim it ever fall to keep it bushey . I live in Michigan and the cold has never bother it. Its a very beautiful tree and in the winter when the leaves are gone it looks the best. I bought it 3 years ago, and it is now 5 ft tall and 6 ft wide. Some suckers grow each year. I too get catkins, but no fruit. No pests or diseases either. People think it's dying in the summer, because it's limp, but it comes "alive" in the winter. I have a lovely specimen in my front yard. I wasn't sure what it was until researching it tonight, but whomever did our landscaping did a lovely job with plant choices. My Harry is very tall, at least 8 feet, and was planted a *little* too close to our house. We get the catkins...just noticed some this week. (It's late March) We don't have nuts on ours. If the landscaping was put in when our house was built, I'm guessing our Harry is 20 years old. I do have a few suckers....now I know what those are. The people we bought the house from did not keep up the garden, so I thought they were "helicopters" that were turning to trees...we have groundcover around our Harry so it was hard to tell they were coming from the root until I inspected up close.. I have put a spotlight on Ha... read morerry and he looks lovely in the evenings. I'll take some pictures and upload them soon. What a great tree! It is now Sept. 12, and my contorted filbert that I planted in late July is blooming? That can't be right. I noticed some sickly large specimens here in Northeastern Ohio, so I did a search and found that it is now outlawed for sale in Oregon because it is susceptable to Eastern Filbert Blight. That could be bad news, although mine seems fine for the time being. Has been a very intersting plant to have. It reached the height of 4ft. this year (year 4) and about as wide. Last year it devolped long slender pods (4") and this year we have blossoms for the first time. We live in a Z5 region in Western Pa. 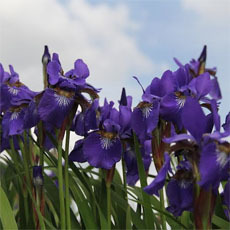 I have had this plant in my garden since 1997 and I have not had any hardiness problems at all. This past winter our low was -25°F (-32°C) and the plant didn't blink an eye - no die-back at all. My plant is on its own roots (the roots are contorted, too) so I don't have to worry about constantly pruning out the normal growth that grows from the understock (roots) of grafted plants. Try to purchase a plant on its own roots, if at all possible. I purchased my plant from Heronswood Nursery in Washington state. Heronswood is the only mail order nursery that I know of that is producing own-root plants. My Contorted Filbert (Harry Lauder's Walking Stick) is my favorite specimen. 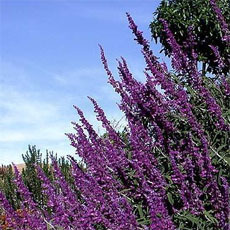 This can be purchased grafted as a tree, or left as a shrub. I have one of each, and I prefer the grafted tree form. I planted this one about 7 or 8 years ago at about 4 feet high, and it is now over 10 feet high. 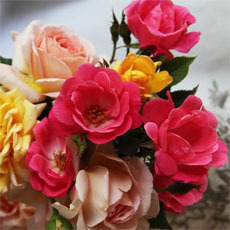 Clippings are fabulous for dried flower arrangements. Blooms in March in my zone - it is so beautiful. It is a great conversation piece in the landscape. I actually believe mine produced nuts last summer, which the squirrels pointed out to me. I have had no pest problems at all. I did have a lot of suckers - hard to keep up with, but I finally resolved this with some thick weed netting and mulch. 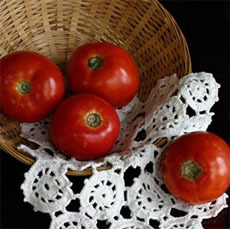 This cultivar does not fruit, so no seeds are produced. This plant is also used as a bonsai, and whether in the garden as a specimen plant or as bonsai, the main attraction is the wonderfully contorted branches. Hence, best for winter interest. Non-descript in the summer. The Japanese Beetles prefer this shrub in my garden, leaving it almost denuded some years. No other noticeable pest problems in my garden. Slow grower.